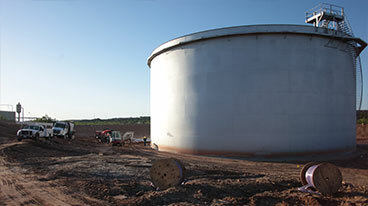 June 2013 | Matcor, Inc.
Texas continues its frenzied activity of chemicals, energy and cathodic protection of pipelines. Dow Chemical Company announced this week a full service chemical pipeline from the Houston area to East Texas. Wood Group Mustang will provide construction and support services for this project. The pipeline runs from Freeport and Mt. Belvieu, Texas. Asset management and maintenance of the pipeline will be a requirement. Some of those regulations include pipeline cathodic protection for almost 140 miles between the Dow Texas facilities. 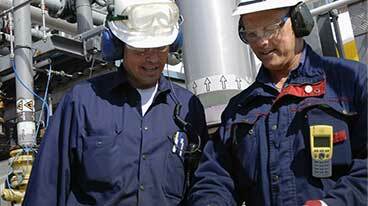 The pipelines and station upgrades are part of Dow Chemical’s expansion of its ethylene unit. Dow’s recently announced a detailed plan to capitalize on booming supplies of shale gas in North America. This contract includes a wide spectrum of field services, construction management and engineering (including Cathodic Protection). Wood Group Mustang has provided similar services for Dow Chemical on previous projects. The project will be overseen through its Houston and Angleton, Texas offices. The project is estimated to reach completion in 2016. Dow Chemical has recently started a turnaround in its Texas operations. This is exciting for both Dow and the related service industries. As Dow ramps up its chemical and ethylene operations, services such as cathodic protection for pipelines will also see a lift. In short, this investment will build more than a pipeline. The communities and local economies around this pipeline are sure to see a boost from Dow, Wood Group Mustang and their contractors. Matcor is a leading provider of ISO 9001:2008-certified cathodic protection management and mixed metal oxide anodes. Our cathodic protection contractors and services carry an unmatched 10 year guarantee. Matcor offers the latest insights on the cathodic and anodic protection industry. Major Permian Basin and Eagle Ford pipelines have begun service, it was announced today. DCP Midstream, Phillips 66 and Spectra Energy have completed the natural gas pipeline construction and own a one-third interest in the pipeline entities. – The 720-mile Sand Hills NGL Pipeline is transporting natural gas liquids (NGLs) from production in the Permian Basin and Eagle Ford Shale. – The 800-mile Southern Hills NGL Pipeline is transporting NGLs from production in the Midcontinent. The Permian Basin and Eagle Ford NGL pipelines began taking flows in the fourth quarter of 2012 and first quarter of 2013, respectively, and are on budget and ahead of schedule. The Permian Basin and Eagle Ford NGL Pipeline provides takeaway service from DCP Midstream and third-party plants in the Permian and the Eagle Ford to fractionation facilities along the Texas Gulf Coast and the Mont Belvieu, Texas, market hub. The pipeline will ramp up to a capacity of more than 200,000 barrels per day after completion of initial pump stations. Further capacity increases to 350,000 bbl/d are possible with the installation of additional pump stations. Sand Hills was developed to meet growing demand in the Permian and Eagle Ford, where DCP Midstream has a significant gathering and processing footprint. In the Permian, DCP Midstream is the largest producer of NGLs and has processing capacity of 1.3 billion cubic feet per day. In addition, the Rawhide Plant will add 75 million cubic feet per day of processing capacity when it goes into service in the middle of 2013. In the Eagle Ford, DCP Midstream and its master limited partnership, DCP Midstream Partners, have integrated assets that include seven processing plants, which will have processing capacity of 1.2 Bcf/d with the completion of the Goliad Plant in the first quarter of 2014. Southern Hills NGL Pipeline provides takeaway service from DCP Midstream and third-party plants in the Midcontinent to fractionation facilities along the Texas Gulf Coast and the Mont Belvieu market hub. The pipeline will ramp up to a capacity of 175,000 bbl/d after completion of planned pump stations. This critical piece of midstream infrastructure provides improved market access for growing Midcontinent NGL production, where DCP Midstream has a leading position as a gatherer and processor with approximately 2 Bcf/d of processing capacity. This announcement is exciting for all companies who are involved with the natural gas pipelines industry. The news is in line with continued growth of energy demand. The companies are sure to reap large benefits from this natural gas pipeline. However, there is a large responsibility for pipeline safety, cathodic protection management and more. MATCOR is a leading provider of ISO 9001:2008-certified cathodic protection cable and anodes for cathodic protection. Learn more about our industry-leading cathodic protection services and cathodic protection installation that carry a 10 year guarantee. MATCOR’s blog, Cathodically Protected, offers the latest insights on cathodic protection equipment and more. Williams Partners LP’s expansion of its interstate Transco pipeline into parts of the Southeast U.S. is completed and in service. the Tulsa-based natural gas transporter announced Monday. The fuel is going to power generators in North Carolina and Alabama as well as a local distribution company in Georgia. The expansion’s added capacity provides enough natural gas for service to approximately one million homes, Williams Partners estimated in its release. The Mid-South Expansion includes about 23 miles of new pipeline, a new compressor facility in Dallas County, Ala., and upgrades to existing compressor facilities in Alabama, Georgia, South Carolina and North Carolina. Transco is one of three interstate pipelines owned and operated by Williams Partners. The 10,200-mile system moves natural gas from the Gulf Coast to the eastern United States. Tulsa-based Williams Cos. Inc. owns a controlling stake in Williams Partners. MATCOR is a leading provider of ISO 9001:2008-certified cathodic protection products for the pipeline systems worldwide. Learn more about our services and cathodic protection installation that carry a 10 year guarantee. MATCOR offers the latest insights on anodes for cathodic protection, cathodic protection equipment and more.